May 29, 2018 -- Congratulations to High School South's Girls Track and Field Team for its 3rd place finish at the NJSIAA South Jersey Group 3 State Sectional Meet held at Delsea High School. South scored a total of 42 points to finish in the bronze medal position. Sophomore Jade Tricomy earned a silver medal in the 1600 meter run. Also placing second was the 4 by 800 meter relay team of Jade Tricomy, Laura Revaitis, Emily Irwin, and Adria Pollioni. Third place finishers at the meet included: Jade Tricomy in the 3200 meter run; Jy'Asia Bivins in the triple jump; and Mattalyn McCaffrey, Adria Pollioni, Reagan Czech, and Dynasty Loveday in the 4 by 400 meter relay. Also receiving medals for the Indians were: Dynasty Loveday, 4th in the triple jump; Laura Revaitis, 5th in the 1600 meter run; Reagan Czech, 6th in the 400 meter hurdles; and Adria Pollioni, 6th in the 400 meter dash. 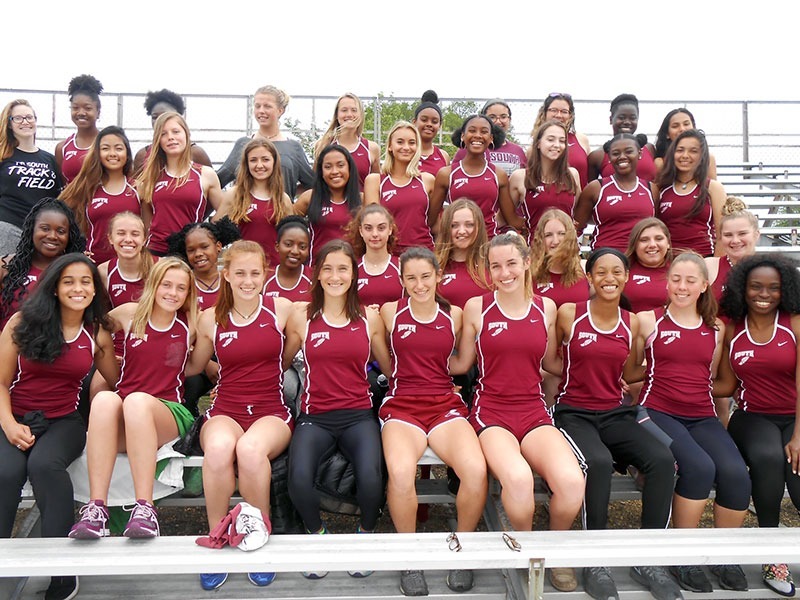 For their efforts, the Lady Indians qualified for the Group 3 State Championships to be held this Friday, June 1 and Saturday, June 2 at Central Regional High School. Best of luck!